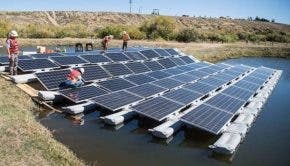 A new report from solar energy market research company NPD Solarbuzz has predicted the demand for solar photovoltaic (PV) energy across Latin America and the Caribbean is set to explode over the next few years, with a forecasted compound annual growth rate of 45 percent. Already, Mexico, Chile, and Brazil are emerging as regional leaders as a result of net-metering, Renewable Portfolio Standards, and other policies implemented across the three countries. The forecasts expect these three countries to have almost 70 percent of PV demand within the region by 2017. “Historically, PV demand was confined to rural off-grid and niche applications, but new renewable energy policies and incentive programs are now opening up the region for strong PV deployment,” said Chris Sunsong, an analyst at NPD Solarbuzz. NPD Solarbuzz reported that by the end of 2012 energy regulators will have received in excess of 6 gigawatts worth of PV project applications. The report adds that by 2017 the ground-mount segment of the solar industry will provide 60% of the demand, though commercial and residential segments are set to see increased adoption from 2015 as prices begin to decline. The report is clear, however, to remind that there are still a variety of technical, economic, and political obstacles to overcome. Engendering further PV growth in the Latin America and Caribbean region is vitally important in the face of softening demand across Europe and uncertainty in PV markets across the United States, China, and India. “Having a successful market-entry strategy for Latin America is now essential for leading PV suppliers before key markets develop in the region and supply-chains and purchasing channels are established,” concluded Sunsong.